Moms love a quick and easy dinner but families want something that is absolutely delicious. This Asian Fish Wrap covers all the bases!! Janes ultimates Fish Products come in a great variety and make dinner so much easier. For this recipe I chose the perfectly crispy Janes Fillet of Sole. 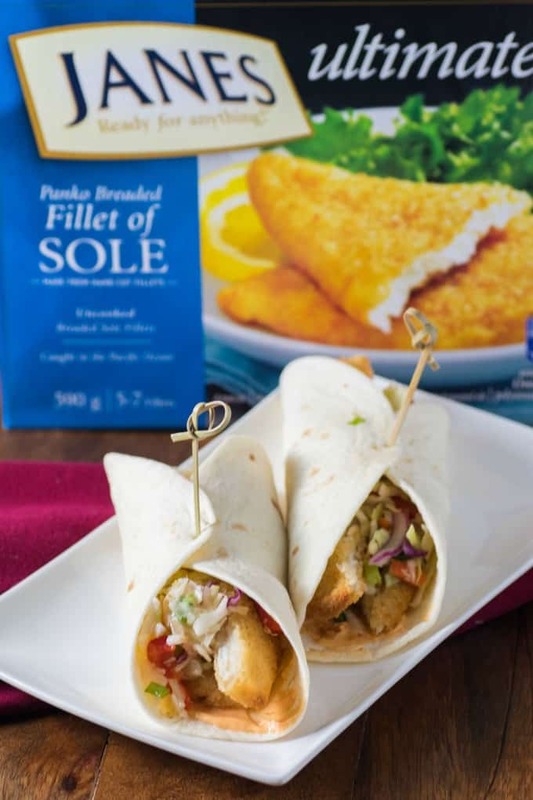 Their sole comes in a light panko breading that, when baked, comes out crispy on the outside with light and flaky fish on the inside. This fish would be perfect to stand alone but I added it to a gorgeous Asian Fish Wrap. While the fish bakes to perfection, you just need to make a quick Sriracha mayonnaise and a light Asian slaw. The combination of the flavors are like an explosion of taste in your mouth! 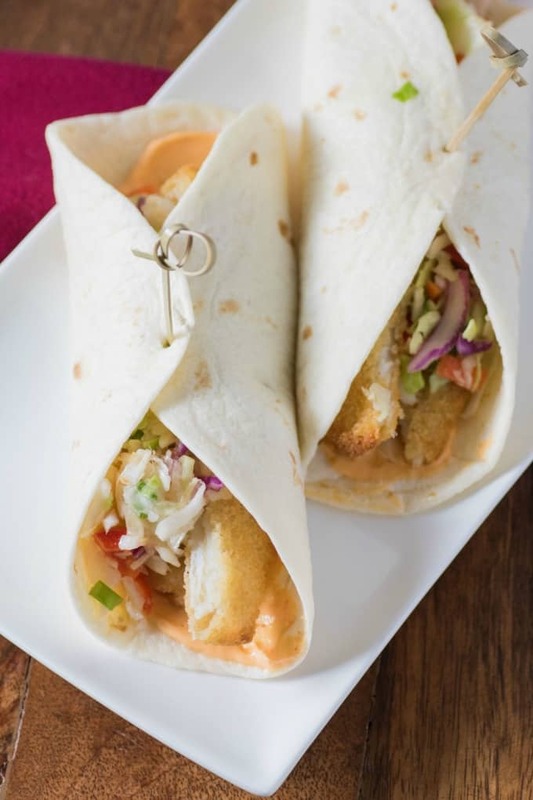 The stunning crispy fish marries perfectly within this wrap. One bite and Ken exploded with rave reviews on this recipe. He loved the little heat from the Sriracha. If your family likes it hotter you can add more or if they like it milder you can add less. That is the beauty of making your own condiment. 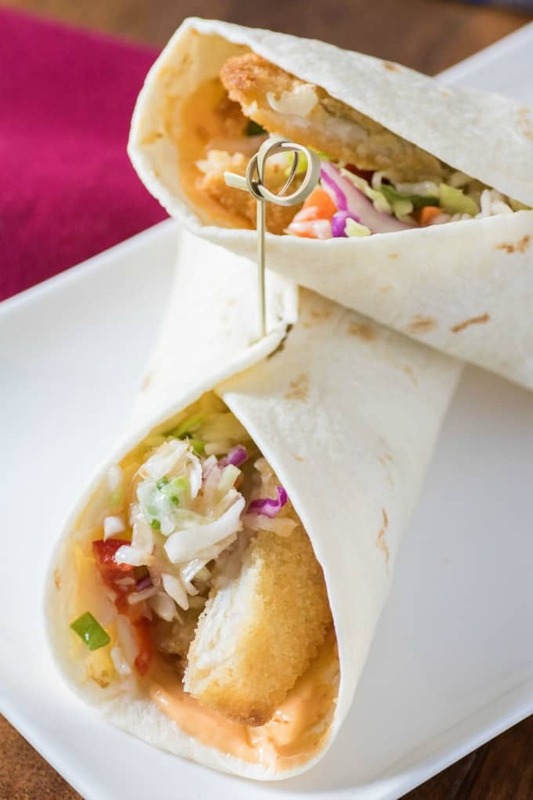 Nothing can be simpler than to use Janes fish and chicken products in a wrap like this. Be prepared, as your family will be asking for this again and again and you can happily provide as it is so easy to make. I will be making these again very soon for when Amber has her friends over. I know they will be a huge hit with the teenage crowd too! Plus it is so easy for me to whip up. In the fast 20 min. for the fish to bake, I can have dinner on the table! With added company over the holidays you need quick and easy meals for lunch and dinner. Let Janes help you out! You will have a scrumptious meal that everyone will love! 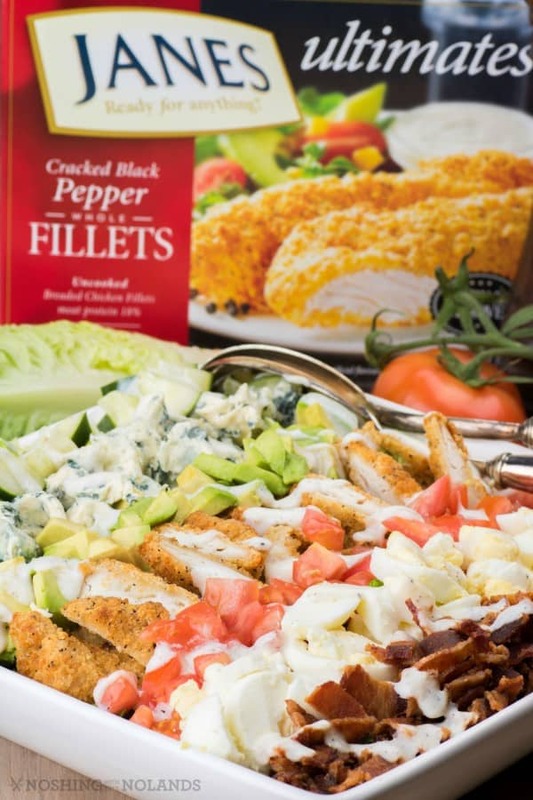 I used Janes Cracked Black Pepper Whole Chicken Fillets to make a delicious Cobb Salad Recipe also that garnished me with rave reviews. Again so easy with Janes doing most of the work! This Asian Fish Wrap is made easy using Janes ultimates Fish Products and their deliciously crispy Panko Breaded Fillet of Sole. The punch of flavor comes from a Sriracha mayo and Asian slaw. Bake Janes ultimates Panko Breaded Fillet of Sole according to package directions. Meanwhile whisk canola, ginger, garlic, sugar, sesame oil, vinegar and salt together in a small bowl. In a larger bowl, add in coleslaw, red pepper and green onion and toss with dressing. Mix the mayonnaise with the Sriracha. When the fish is baked, slice in half lengthwise. Spread on some of the Sriracha mayo on each tortilla and top with the fish and then the slaw. Wrap up with a toothpick and serve immediately. That’s one tasty looking wrap! I love that semi-homemade approach. A lot of taste without a lot of hassle is perfect! That’s an awesome lunch idea. We are big fans of wraps in our house and I am excited to make these! That looks delicious! I love having wraps because you can do so much with them they’re so versatile. I think I might make this for my lunch tomorrow. This looks like a tasty weeknight dinner idea. My husband would like it a lot I’m sure. 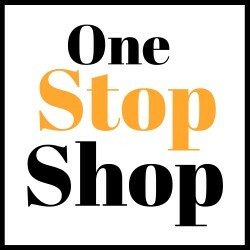 I love Jane’s products! Sounds like I need to try their fish and make these amazing looking asian fish wraps. I’m always looking for more fish recipes to try. I will have to get the ingredients I need to make some this week for dinner. I am sure they will be a big hit. 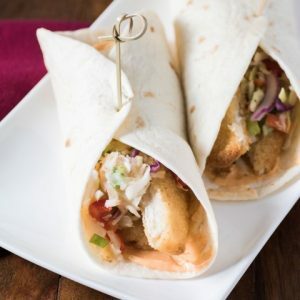 This fish wrap look really tasty! I totally would love to try it myself. That’s a great idea for premade fish! I’ve never thought of using it like that before. I’m really liking this as a special fish dinner idea. My boyfriend is always trying to find new way to use fish! This looks really good! I will definitely try this! This looks so yummy! I love wraps, they are so quick to make and easy to eat on the go when we go to sports practice. This sounds delicious! Anytime we’re out to eat, I always order something like this if it’s on the menu, but love the idea of making it myself at home. 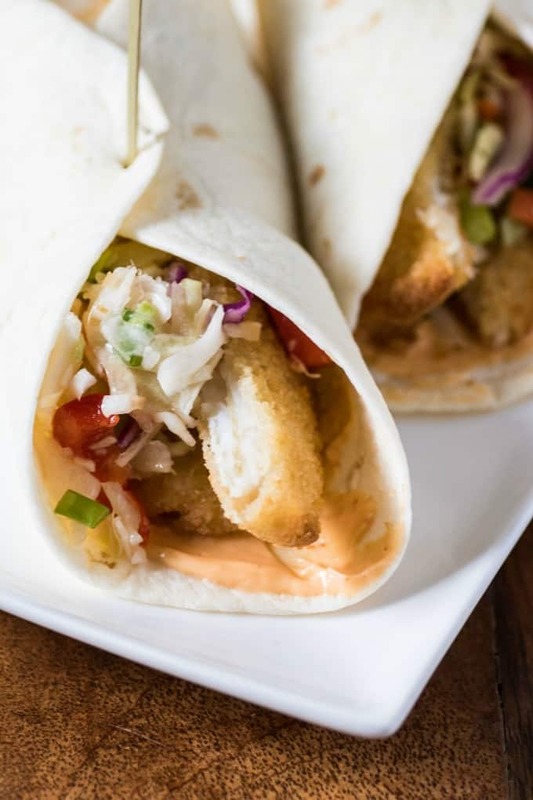 This fish wrap sounds so delicious! Will definitely have to give it a try!